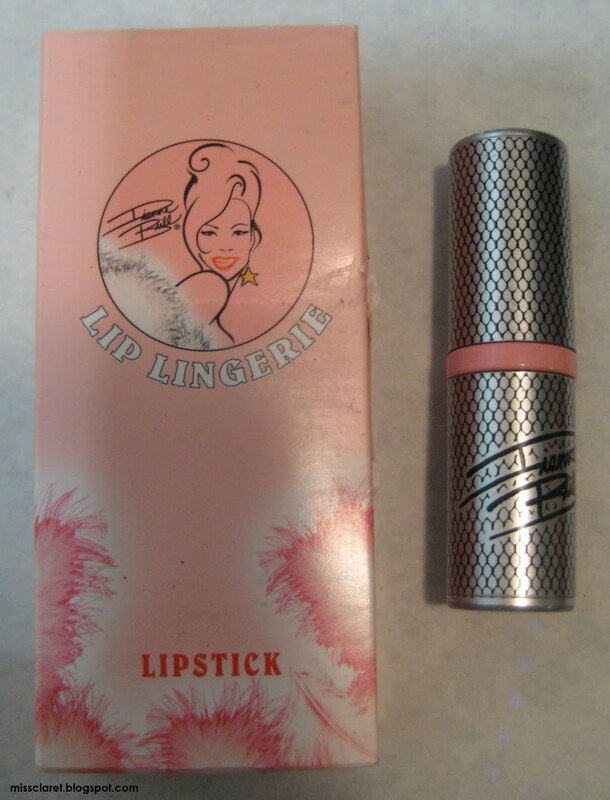 Dianne Brill, model turned Make Up Queen, produced a range of cosmetics a while back. 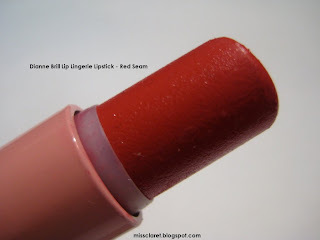 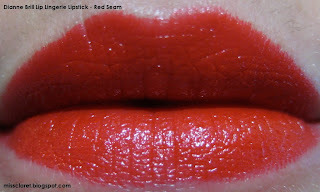 I was fortunate to pick up a couple of lip lingerie lipsticks. 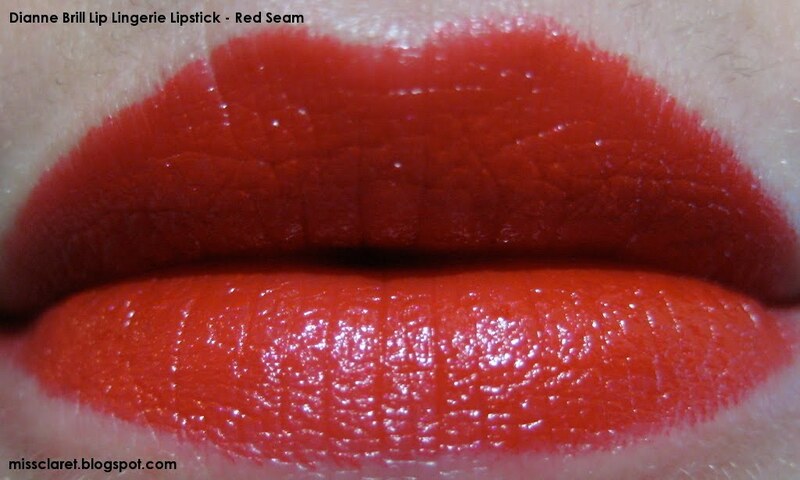 Red Seam is my absolute favourite. 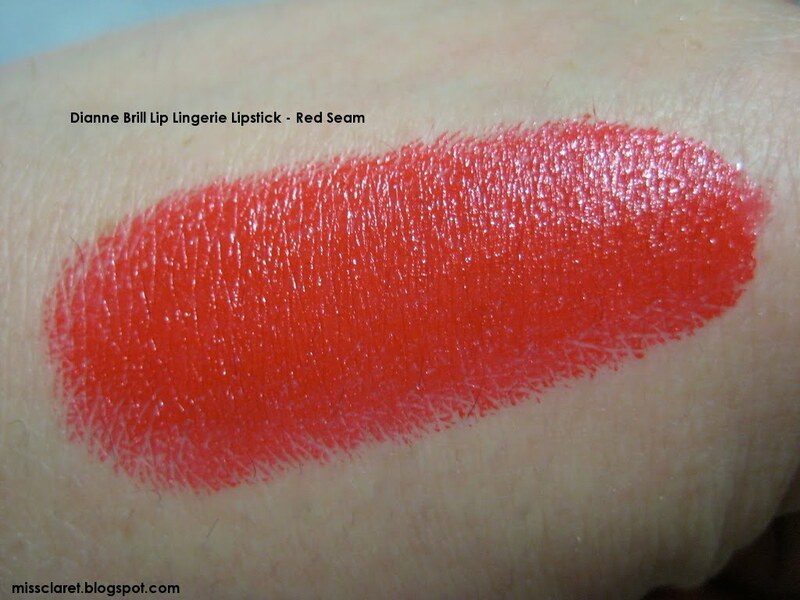 It is a creamy, vibrant red - an instant pick me up colour. The highlight for me is the tube - it is covered in a fishnet print complete with back seam - I just love it!